Join this Greek wine experience at Kefalonia, on a truly unforgettable experience and discover the diversity and the secrets of the indigenous Greek wines. 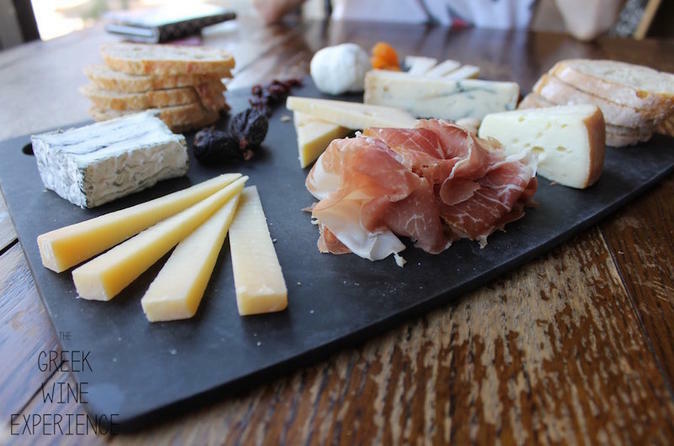 Feel and taste some of the most famous Greek wines combined with delicious Greek cheeses, get an understanding of the golden principles that help you select great wines to pair with all types of cheese and various types of food. Enjoy Greek traditional tastes and explore a whole new world of tastes, aromas, flavors and senses. Taste wines from Assyrtiko, Malaguzia, Robola, Moschofilero, Vidiano, Xinomavro, Agiorgitiko, Limnio, Mavrotragano, Kotsifali, Mavrodafne. Enjoy Greek wines, real taste, great living. Have a Greek wine experience in Kefalonia and discover the diversity and the secrets of the indigenous Greek wines. If you choose to stay on board your boat or yacht, that is ok with us. We can join you at any marina in Kefalonia, hop-on, and offer you and your guests all our services on-board. Wines, cheeses and lots of information. 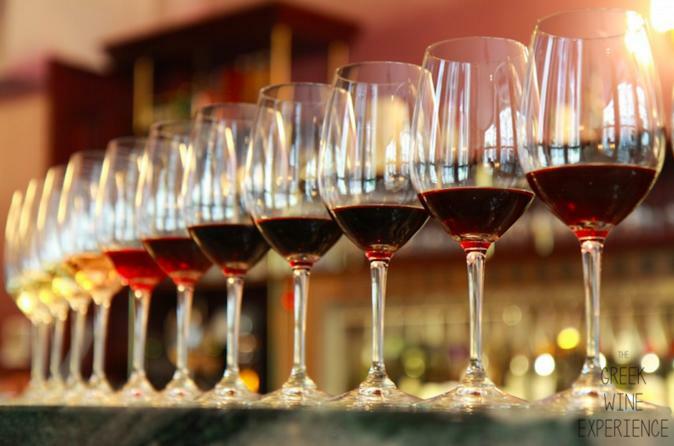 Let us know what are your wine preferences and we will do our best to fulfil them. Taste wines from Assyrtiko, Malaguzia, Robola, Moschofilero, Vidiano, Xinomavro, Agiorgitiko, Limnio, Mavrotragano, Kotsifali, Mavrodafne. Enjoy Greek wines, real taste, great living. Follow our experienced and passionate chef to the preparation process of a full 3 course meal consisting of starter, a main course and a desert, all inspired by Greek traditional recipes. While cooking you will have the chance to get secret cooking tips, get answers to your questions, learn about local products and production procedures, hear interesting local stories and eventually enjoy your feast with your fellow food lovers and our friendly staff. Try local wines, tsipouro or liquor and get familiarized with some of the ingredients by cutting them yourselves from our beautiful garden. 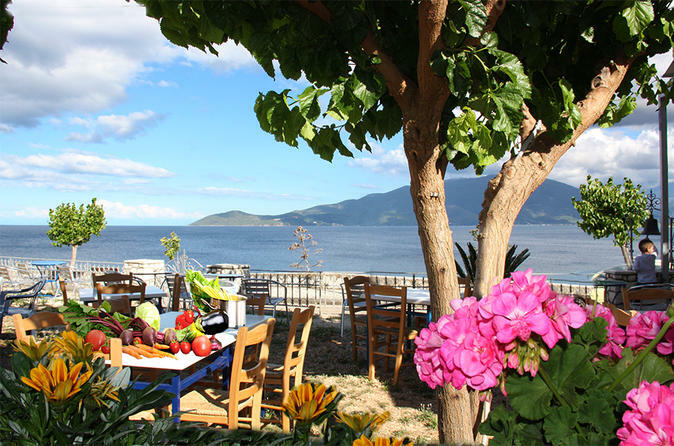 Enjoy the experience in an ideal, relaxing, outdoor, natural environment of Sea Rock ws highly rated restaurant with amazing sea views at the heart of Kefalonia island. One of a kind experience throughout Greece. 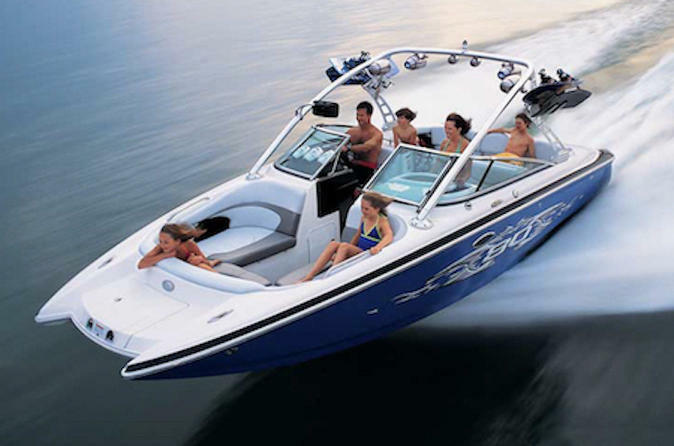 Embark on our high speed yacht – a Masterraft Maristar 280 – and live an unforgetable experience. We can join you at any marina at Kefalonia for you to hop-on, and offer to you a wine and snacks tour at the most unreached by feet, fabulus beaches in Kefalonia. No matter what, it will be a day to remember. Taste the unique Kefalonian wines and learn everything about the winemaking, as you move between the vineyards and the wineries, on an intimate small group or private wine tour / excursion. Expert wine guides will provide you with all the knowledge and the expertise you need, on a series of fine wines with the correct way of tasting them. Join a premium wine tasting in Kefalonia, on a truly unforgettable experience and discover the diversity and the secrets of the indigenous Greek wines. During the tasting you will discover a whole new world of tastes, aromas, flavors and senses. This premium wine tasting is offering 10 different wines from all Greek wine producing regions and it’s a must-do for every wine lover. Varieties like Assyrtiko, Malaguzia, Robola, Moschofilero, Vidiano, Xinomavro, Agiorgitiko, Limnio, Mavrotragano, Kotsifali, Mavrodafne, is not an easy thing to find in one place.